It’s one thing to go to a wine tasting, it’s another to do a wine blending where you make your own wine. 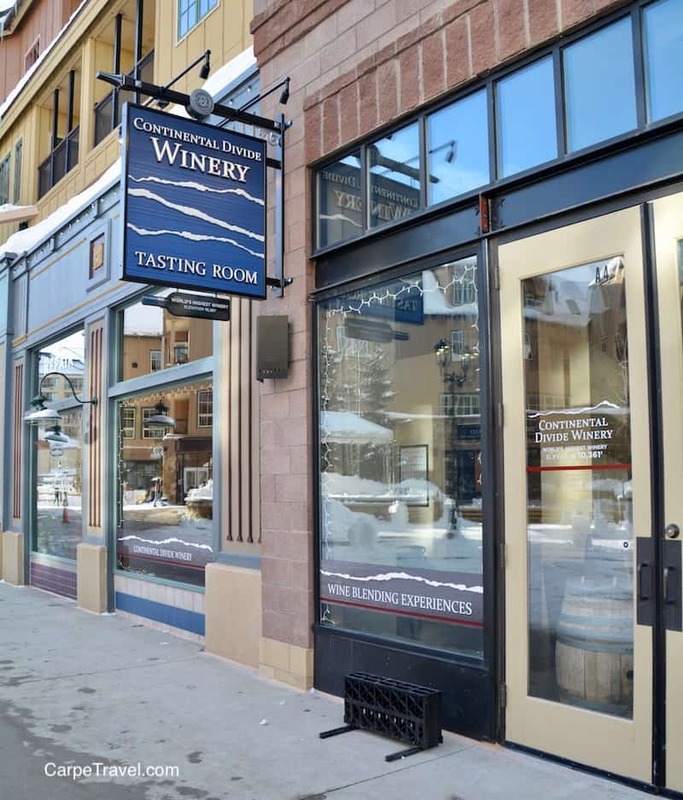 I had my first wine blending experience not along ago in Breckenridge, Colorado at the Continental Divide Winery. I know, Breckenridge, right? But this is truly one of the coolest things do in Breck, besides skiing. 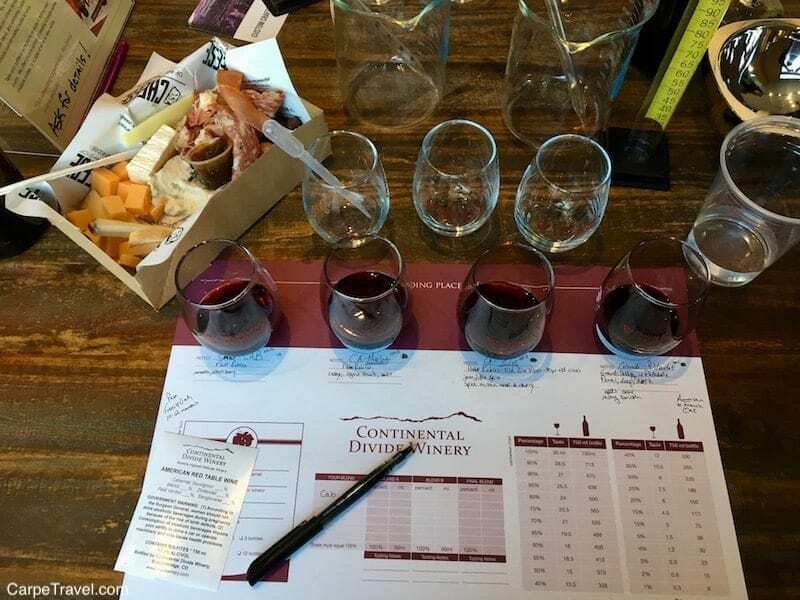 We began the blending with a special tasting of the multiple red wine varietals Continental Divide Winery produces. We had to know what everything tasted like so we could then mix and match. 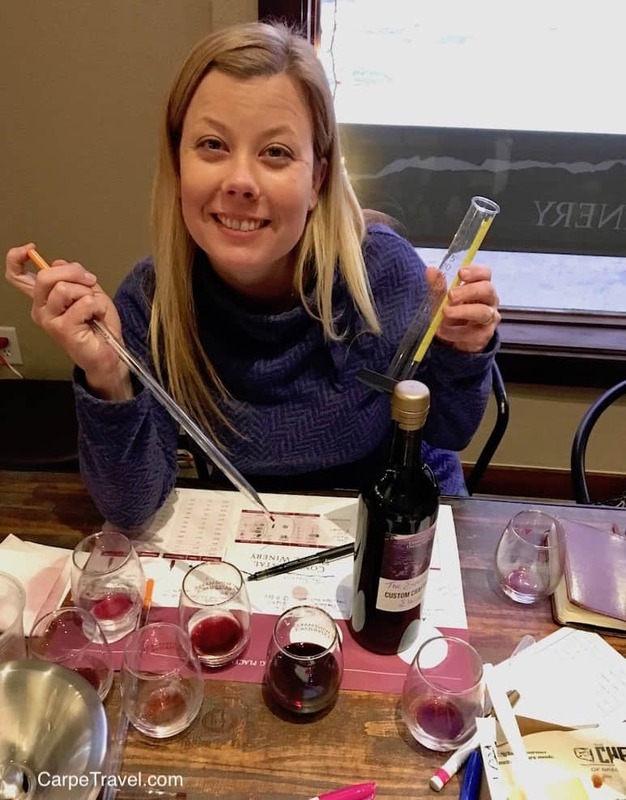 With help from the winery staff, we were schooled on how to blend the wines using the authentic vintner equipment, aka my high school chemistry set. High school algebra was also resurrected since part of the wine blending experience requires you to note which percentage of a varietal you wanted to blend with another grape varietal. Then converting those percentages so you could pour the correct amounts into the largest beaker to create your blend, bottle it, and cork it to take home with you. 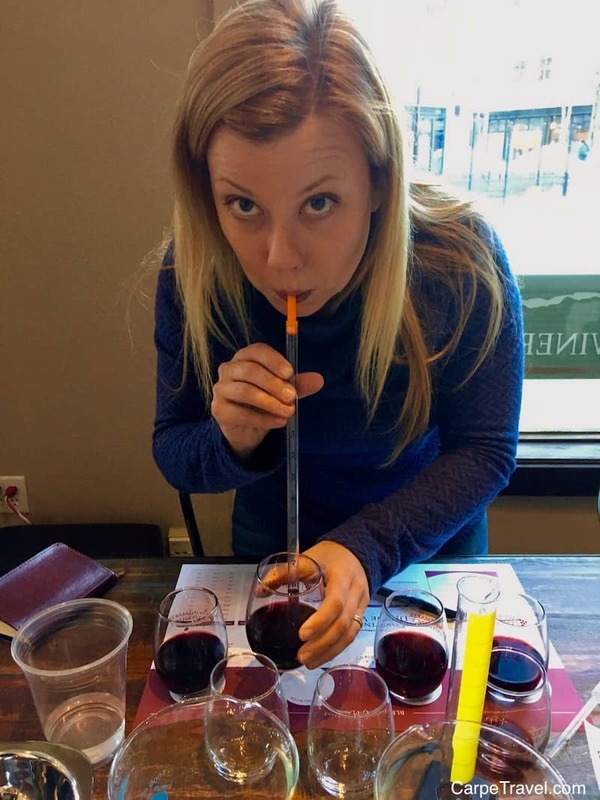 The math and measuring mixed with wine was more complicated than I anticipated. But, I conquered it (with a little help from the staff at the winery). I definitely have a lot more respect for a winemakers job. 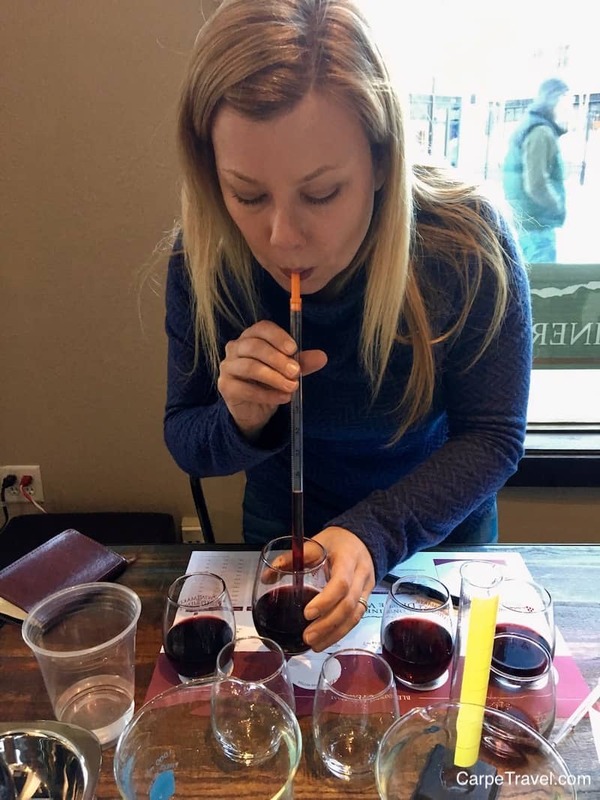 I ended up blending Cabernet Sauvignon (60 percent), Merlot (38 percent), Zinfandel (1 percent) and Petit Verdot (1 percent). The Cab and Merlot blended together were just about perfect, but I added the Petit Verdot for a hint more floral and the Zinfandel for texture. You get to take home one souvenir bottle of the custom crafted wine YOU blend, and name. My bottle was named “The Experience”. It seemed fitting given it was my first wine blending experience. I haven’t opened mine yet, so fingers crossed it doesn’t stink! On a side note, you can create a single bottle, multiple bottles, or several cases to take home or share at a special event. 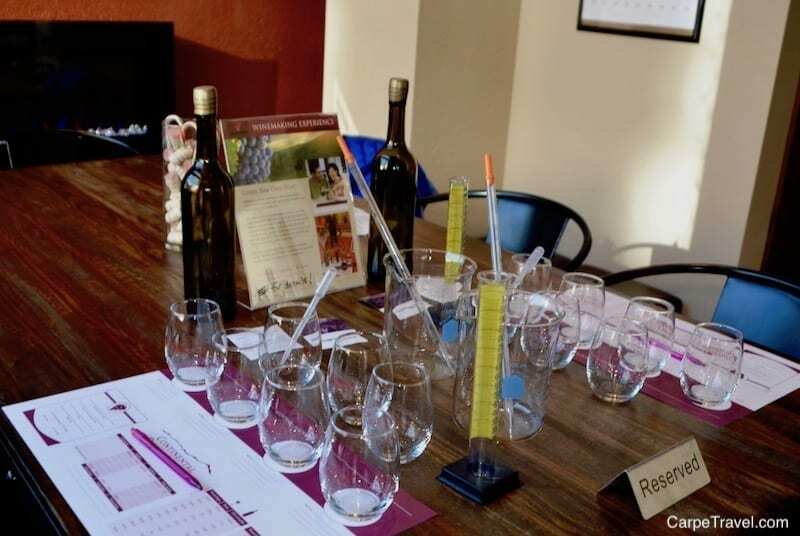 The fun and interactive wine blending experience lasts about two hours. This includes a lot of sipping time. While Continental Divide Winery doesn’t provide food, The Breckenridge Cheese Shop next door does. You can order a cheese box and charcuterie and they’ll deliver it to you. I highly recommend you do, it will only enhance the experience (and help make sure you’re not stumbling out). The wine blending experience is limited to 14 guests per session and they often fill up so make sure to make a reservation in advance. Whether you are an experienced wine connoisseur, a curious novice, or simply enjoy great wine, this is a fun – and rare opportunity – to be a winemaker for a day. It’s truly one of the coolest things do in Breckenridge, besides skiing.